If you love banana pudding, you’ll flip for this Banana Pudding Pie! All the flavors of homemade pudding in one simple to prepare pie! So last week I traveled to West Chester, Pennsylvania for training for QVC. Yes, they require training – and it was the best job training I’ve ever had! (Think about it – QVC is a well-oiled machine. They know what sells and what doesn’t. They want everyone to be on the same page. And like I said, the training was soooo worth the whole day of flying before and after the training class and the fact that I got the flu). And of course, while I was there I thought I was the only cookbook author training that day. 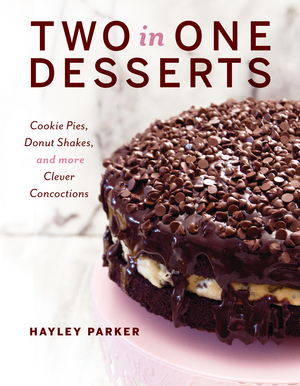 But in walks a tall, gorgeous woman wearing a floor-length fur coat and designer shades and announces she wrote a dessert cookbook to be sold on QVC, too. And her name was Patti LaBelle. At first I didn’t register who she was – I spent the better part of the morning exercising all my concentrated efforts not to puke all over their gorgeous offices – but when it hit me I tried my hardest not to be starstruck by her larger-than-life presence. And then I thought, oh great – how am I gonna compete with Patti LaBelle?! But you guys – Patti is the sweetest, most genuine person I’ve ever had the pleasure of meeting. She was so kind and warm-hearted and offered wonderful praise for everyone who was there pitching their products to QVC. And of course, she was as glamorous as I’d expect. 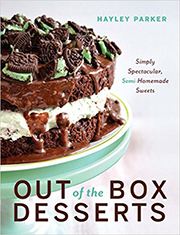 Once I spent time at training and with Patti, I realized I am not competing with this woman – I am honored to have written a dessert book like she has – and she was so excited about my book, too! (So should I tell my publishers to put “Patti LaBelle loves this book!” on the back? Kidding. Kind of). So yeah, that’s the story of how I met Patti LaBelle. She’s awesome, and I hope you have the pleasure of meeting her one day. Also, buy her book! It comes out in May and everything she told me about it sounds AMAZING. Speaking of amazing… can we talk real quick about this Banana Pudding Pie? Because it’s totally incredible. We’re talking Nilla Wafer crust, a layer of freshly sliced bananas, a layer of creamy, decadent, silky-smooth banana pudding, and lots of fresh whipped cream. It is HEAVEN and it totally satisfied my intense need for banana pudding that I had a few weeks ago. MAKE IT BECAUSE PATTI TOLD YOU TO. This Banana Pudding Pie tastes just like banana pudding, but there's no hassle about distributing it among jars or cups. 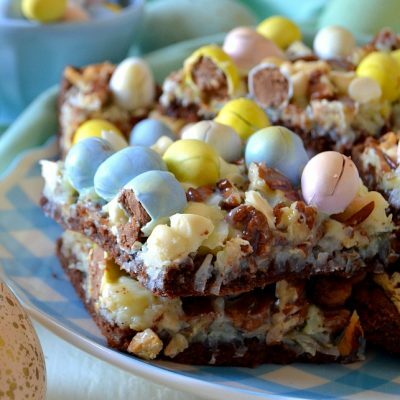 Everyone gets a heaping slice of creamy, decadent banana goodness! Layer banana coins on the bottom of the pie crust; set any remaining coins aside for garnishing the top of the pie. Whisk together the instant banana pudding mix and the milk together until thickened and combined, about 2 minutes. Fold in 2 cups of the fresh whipped cream (or whipped topping, if using) until combined and fluffy. Spread into the prepared pan in an even layer. Pipe remaining whipped cream around the pie and garnish with the miniature Nilla Wafer cookies and remaining banana coins. If desired, crush some Nilla Wafers to sprinkle over the top of the pie. Refrigerate covered for at LEAST 4 hours or until set. If pie filling is still too soft, freeze briefly for about 10-15 minutes to make it easier to cut. Note: if you freeze the pie, leave the fresh bananas off as they will turn brown once brought to room temperature. I love how easy and simple this pie is – only a few ingredients, a couple minutes of prep and a hugely delicious payoff awaits. Perfect for banana pudding lovers like myself! aww, I love this! especially banana ones and that pie so..